Before you keep reading on, stop for a moment and think about what you see in the picture above. February was Hockey is for Everyone month in the National Hockey League. 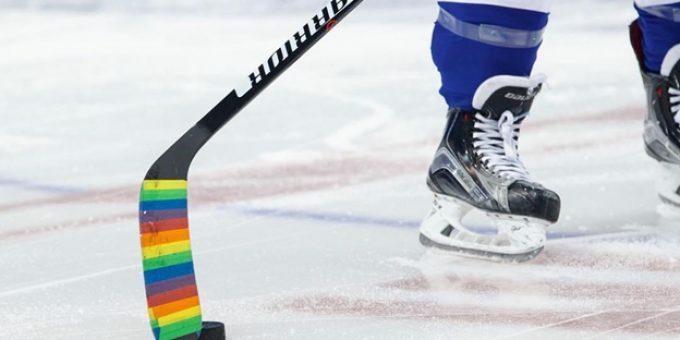 The caption of the above February 2017 photo from theNHL Instagram account reads: “Player or fan, #HockeyIsForEveryone.” While the Pride tape on this player’s stick blade acts as a bold and progressive symbol for sexual minority inclusivity in hockey, it only highlights one marginalized group that the NHL is trying to appeal to with this campaign. Scrolling through the rest of the NHL’s photos on Instagram, symbols of sexual minority inclusivity are numerously present; yet photos highlighting appeals to other marginalized groups are absent. If the NHL is proposing that Hockey is for Everyone, where is Everyone else? What marginalized group did you think about when you saw the photo? The NHL should make sure they are more widely publicizing their appeals to other marginalized groups. Hockey is for Everyone™ uses the game of hockey – and the League’s global influence – to drive positive social change and foster more inclusive communities…We believe all hockey programs – from professionals to youth organizations – should provide a safe, positive and inclusive environment for players and families regardless of race, color, religion, national origin, gender, disability, sexual orientation and socio-economic status. But is the public consensus that hockey is for everyone? Loading twenty comments (see below) in response to the above photo, we certainly see a mixed reaction from hockey fans. Some, like me, agree with the Hockey is for Everyone mission statements. Others label the idea of those of a different sexual orientation participating in hockey culture as “disgusting.” Another group just wants hockey to be hockey. Any users who took issue with the campaign expressed concerns regarding sexual orientation. I don’t find this overly surprising, considering the most noticeable part of the above image is the Pride tape wrapped around the stick blade. The league has partnered with You Can Play, a non-profit that fights LGBT discrimination and homophobia in sports. Each team hosts at least one You Can Play Night. 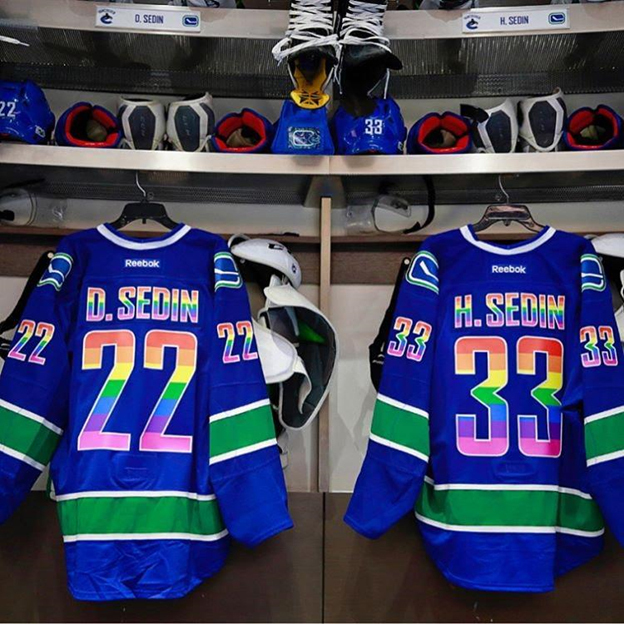 On these nights, the home team dons some special equipment for the cause during warm-ups, such as the Pride tape, and even modified NHL jerseys like the Vancouver Canucks’ below. What does it mean when a few inches of rainbow-patterned tape on a stick blade cause such polarized reactions, either in support of or against the campaign? 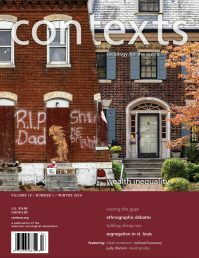 We know the realm of sports is regarded with a high degree of masculinity, and we’ve seen in the past that significant attention is often given to instances when an individual who might appear feminine inserts themselves into this ‘men’s world’ (think Danica Patrick, Michael Sam, or Jason Collins). Speaking about masculinity begs the question: If NHL players are supposed to be some of the most fortitudinous, tough-as-nails men on the planet, why are they so willing to participate in a campaign that highlights acceptance of those less masculine into hockey culture? Understanding the family feeling created by the game of hockey convinces me that our small sample of Instagram comments doesn’t tell the whole story of reactions to the Pride taped stick-blade image. However, it still informs us of a few schools of thought that exist, certainly in larger numbers than those who represent them in the comments. But my major concern for the NHL is if they are extending their reach to as many marginalized groups as there are in their list of “Everyone,” and not simply the LGBT community. Despite the limited audience our stick-tape image might personally connect with, after some more research into the campaign, I believe that the NHL is truly trying to extend their reach to Everyone. The issue that needs emphasis is that I had to do more research into the campaign to find out. The league has publicly supported “Soul On Ice: Past, Present, and Future,” a 2017 documentary by Damon Kwame Mason that was created with the hopes of instilling a greater love and knowledge for hockey among the Black community that would be passed on for generations to come. Out of over 700 active players with at least one game of NHL experience, only 27 of these players are Black. Regarding people of low socioeconomic status, in March 2017, CCM Hockey donated over $30,000 worth of hockey equipment to the Madison Square Boys and Girls Club. The goal was to “increase participation of young kids in the inner city coming out to play hockey.” Between a stick, helmet, gloves, and shin guards, playing hockey can be expensive. A lack of resources to spend on equipment can keep hockey from being a simple ‘pick-up’ game in disadvantaged neighborhoods. Amidst ongoing controversy surrounding Syrian refugees, members of the Toronto Maple Leafs organization hosted a ball hockey tournament for Syrian refugees and their families in February of this year. This tournament was an effort to welcome them into their new Ontario communities. It allowed Syrian refugees to make an easier transition to life in Canada, as well as form positive relationships with Canadian law enforcement. The tournament featured over 100 refugees, 70 of whom were children. While these stories make it clear that the NHL is making efforts to spread the game to Everyone, I believe the publicization of their efforts needs to be more evenly spread amongst their target groups. 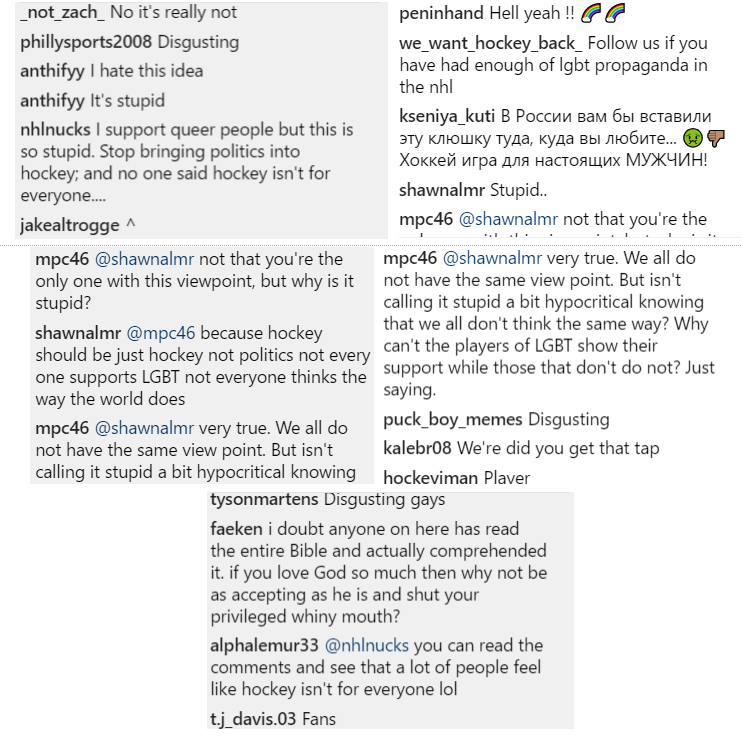 I’ve only seen the NHL’s efforts against homophobia displayed on social media outlets such as Facebook, Instagram, and Twitter; in contrast, I only knew about their efforts to spread the game to the Black community, those of lower socioeconomic status, and Syrian refugees from gathering material for this post. These other stories are practically hidden away on the webpage for the campaign where I found them. While not sharing these stories more widely certainly does not diminish the efforts of the campaign, their message of all-inclusivity should have a more all-inclusive public face.